Castle 2.21 Den of Thieves – Sam Anders (BSG) – Michael Trucco joins cast for season in recurring role..
Yay Anders! 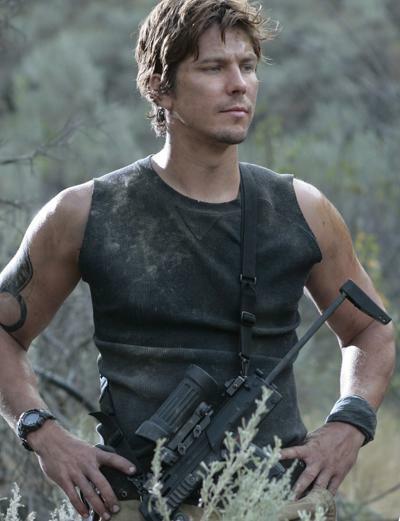 Always glad to see BSG cast back on the tube…Michael Trucco is signed for the rest of this season. “Den of Thieves” – Investigating the murder of a thief, Castle and Beckett are surprised to learn that Esposito has a personal connection to the suspected killer. Another surprise is in line for Castle when Beckett hits it off with the handsome Robbery detective assigned to the case, Tom Demming (Michael Trucco in a recurring role rest of season). Now this romantic triangle must work together to solve the case, on “Castle,” MONDAY, APRIL 19 (10:00–11:00 p.m., ET) on ABC. April 21, 2010. Tags: BSG, Castle, Firefly, Michael Trucco, Michael Trucco joins Castle, Nathan Fillion, Stana Katic. BSG, Celebrities, Detective Stories, Entertainment, Fantasy, Mystery, Popular Culture, Sci Fi, Suspense. Comments off.